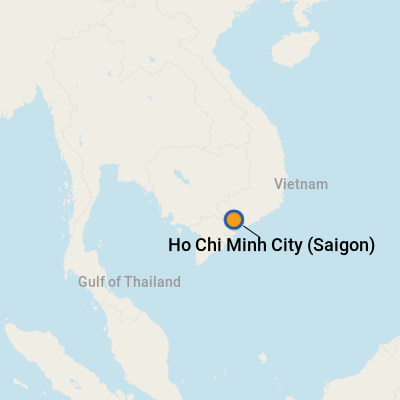 Ho Chi Minh City, on the Saigon River just a few miles from the South China Sea, has evolved from its roots as a small Khmer fishing village in the early 1600s. In its earliest days, the city welcomed Vietnamese refugees who had fled from the north to escape a civil war; they in turn helped to develop the village into a thriving seaport, eventually renamed Saigon. In the mid-1800s, France took over much of the country and developed the city further with French architecture, culture and a unique blend of cuisine. Saigon was officially renamed Ho Chi Minh City in 1976. Many locals still use the name Saigon, and you'll find it on T-shirts in the markets. With nearly 13 million inhabitants, it's the largest city in Vietnam and drives the country's economic engine. It's fast-paced, innovative and quite chaotic. Skyscrapers rise across the landscape alongside brightly colored Buddhist and Hindu temples and French colonial buildings. The city proper rises on one side of the Saigon River, while one- and two-story, low-rise houses and commercial enterprises line the opposite bank. 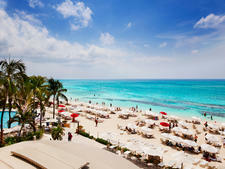 Most cruise ships call during the dry season, which lasts from November through April. Temperatures at this time range from a low of about 70 to highs in the 90s, with high humidity, too. And while many Americans are most familiar with the city from its role as a major site during the Vietnam War, a trip to Ho Chi Minh City is much more than a visit to a former war zone. Today, French-style wide boulevards lined with elegant buildings remain a hallmark of the city. It's a vibrant destination offering cruisers great shopping, exciting cultural and historic treasures, and friendly people. Midsize and smaller ships can navigate the twisting Saigon River and tie up to the Saigon River Dock, which is a very short distance from the city center. The Saigon River Dock has a cafe and souvenir shop. There is little else directly outside the dock gates. Larger ships dock at Phu My, a commercial port on the South China Sea near Vung Tao, some 80 miles by road (2.5 hours) from Ho Chi Minh City. The port of Phu My has no passenger facilities, nor ATMs. Pickpockets are known to roam the markets and crowded streets, but violent crime against tourists is unusual. You can avoid cyclo (bicycle rickshaw) and taxi scams by making sure that the drivers know exactly where you are going and how much you expect to pay for all passengers. With mopeds whizzing by at a fast pace, crossing the street is not for the timid. In the city center, though, drivers are fully aware of crossing pedestrian traffic. Stay close together, and step out when the traffic is thinnest. Keep walking slowly and deliberately at a steady pace while watching the oncoming traffic and you'll find that it will simply flow around you. Abrupt movements or a sudden dash can throw off the natural flow. Once you have crossed a few times, you will gain confidence. We recommend following locals as they cross the street until you get the hang of it. On Foot: While the Saigon River Dock is within a 10-minute walk of the city center, you should not attempt to walk. The short bridge carrying the main road over a filled-in creek has no pedestrian walkway, and the steady stream of traffic makes this portion unsafe on foot. There is nothing within walking distance of the port in Phu My. By Bus, Taxi and Cyclo: Most cruise lines provide shuttles between the ship and the Rex Hotel, which is at the center of town. Taxis within the dock gates will try to charge much more than the going fare charged outside the gate. Most taxis in town will be happy to take you back to the ship when docked nearby, but make sure you have a firm commitment for the fare price. From Phu My: To get to Ho Chi Minh City, you will have to take the ship's shuttle to the Rex Hotel, join a ship tour or hire a cab outside the port gate. Most ships provide shuttles to the port gate or to the village of Ba Ria, approximately 16 miles away, where there is an ATM machine. From there, you can take a taxi to the resort town of Vung Tau. Prearranged private tours and ship excursions are advised from this port. The local currency is the Vietnamese dong (VND) but most vendors prefer U.S. dollars. For updated currency-conversion figures, visit www.oanda.com or www.xe.com. Almost all cabs, cyclos, shops and restaurants take U.S. dollars, although you will get change back in dong. Be sure to bring smaller denominations, mostly fives and ones. Credit cards are welcome in higher-priced restaurants and shops. Banks in the city center have ATMs, and major hotels have exchange counters, but unless you are taking a local bus or exploring rural areas, changing money is not necessary. Vietnamese is the national language, but many residents -- especially younger people -- speak and understand English. Some older people will also speak French. Cosmopolitan Ho Chi Minh City offers a wide range of cuisines, including French, of course. As you are visiting Southeast Asia, you'll want to try the local cuisines -- Vietnamese and Chinese, particularly -- which are complex and offer a wide variety of ingredients, preparations and tastes. Some are hot, while others are quite mild. All the establishments listed below serve lunch and dinner. Du Street: Just three blocks from the Rex, this road is lined with Chinese, Japanese, Indian and Vietnamese restaurants, most with menus and prices in the front windows. Cruise by them and look in to see which ones are the most popular. At Ben Thanh Market you can find excellent prices on Vietnamese crafts. Shoppers can purchase lovely scenic prints suitable for framing and eye-catching lacquerware with floral designs in the shapes of trays, plates, bowls and cups. 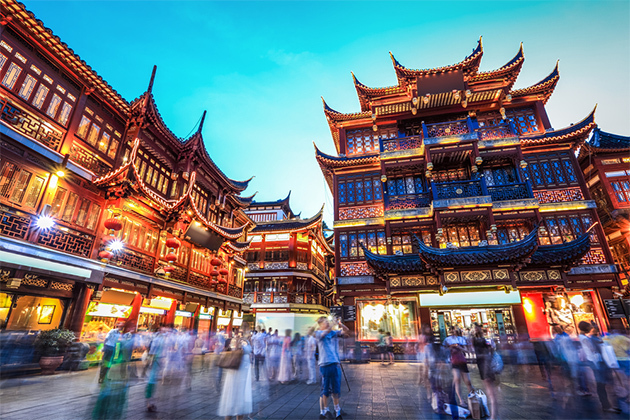 It's also an excellent place to pick up beautiful, traditional-style embroidered silk shirts and jackets, as well as knockoff designer leather goods.